Learn more about the college's 30-credit-hour Master of Engineering Management. The College of Engineering Graduate Student Conference Travel Fellowship program supports the participation of graduate students in the College to present technical posters or presentations as first-authors at scientific conferences, on research conducted as a UNL engineering graduate student. The fellowship provides $500 to be applied towards the student’s travel expenses. 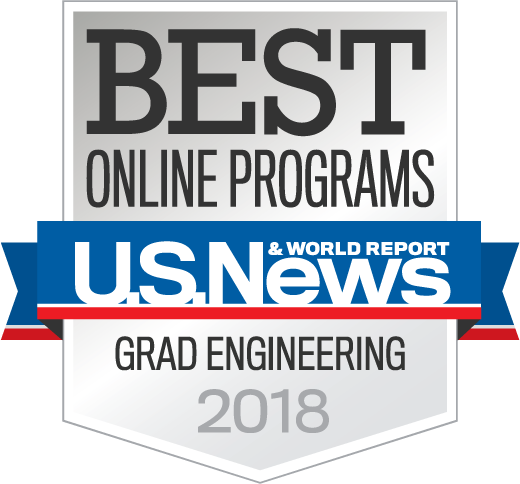 Must be a currently enrolled graduate student in good standing enrolled in a MS (Option 1) or PhD degree program within the UNL College of Engineering during the semester the grant will be used. The conference must occur after the application deadline. Priority will be given to those students who have submitted an approved MS Memorandum of Courses Form or Doctoral Program of Studies. Priority will be given to those students who have not received one of these grants to attend a conference in the previous 12 months. Applications are to be submitted through the online form below. Application deadlines are quarterly on the following days at 11:59 PM: February 15, May 15, August 15, and November 15. Use the below dates to determine which quarter a travel fellowship application should be submitted based on the conference dates (ex: conference starts on January 1st, apply during the November quarter). After each deadline, the applications submitted in the last quarter will be verified for eligibility by the Dean's Office, and the faculty advisor of each applicant will be asked via email to confirm support of the application. Graduate Committee Chairs for each degree program are then asked to prioritize all eligible applications within their degree program from the last quarter. The CoE Associate Dean of Graduate Programs subsequently coordinates awarding of grants across the College. Applicants will be informed if their application is successful approximately two weeks after each deadline: typically by March 1, May 30, August 30, and November 30. All applicants must complete the pre-trip form using Concur. All fellowships are subject to taxes. Each travel fellowhship recipient must submit an official acceptance notice from the conference for his/her poster/presentation (either with the application or at a later time to the CoE Associate Dean of Graduate Programs), before fellowship funds are disbursed. Please do not use acronyms when listing the conference name. Please upload (1) poster/paper abstract and (2) notification of acceptance, if available. Priority is given to applicants who have submitted an approved MS Memorandum of Courses or Doctoral Program of Studies. Priority is given to applicants who have not received one of these grants to attend a conference in the previous 12 months. Budget: Please itemize your anticipated costs below. In the textbox above, please list the amount of financial support you expect to receive from your faculty advisor, department, university, or other professional society resources.